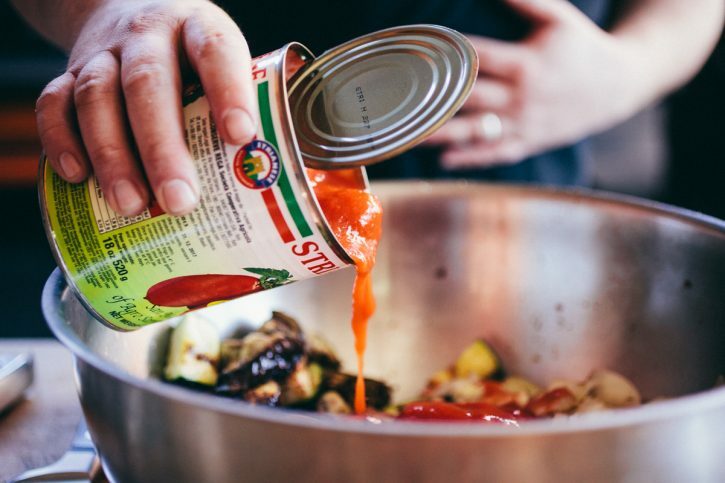 Ratatouille, the classic French dish of stewed vegetables is elevated here by first grilling the vegetables before combining them with canned San Marzano tomatoes in a cast iron dutch oven for a creamy finish. 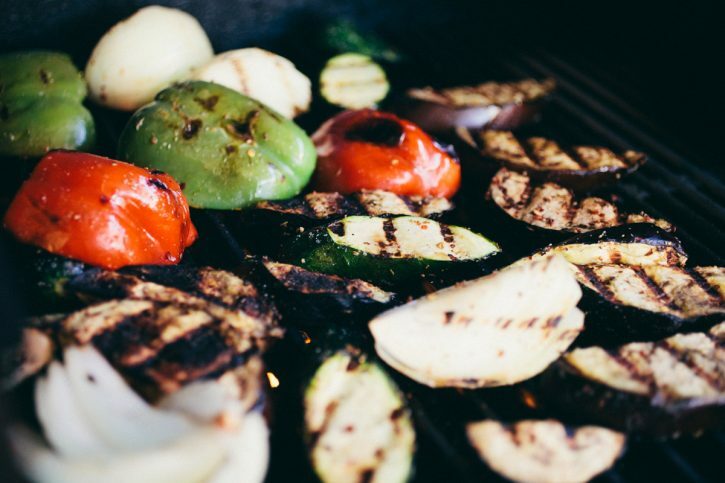 You know we love the flavor added to the veggies when slightly charred on the grill! The best canned tomatoes in the world, in our opinion. These San Marzanos really make the dish! Preheat your Yoder Smokers YS640 pellet grill to 500ºF, set up for direct grilling with GrillGrates. 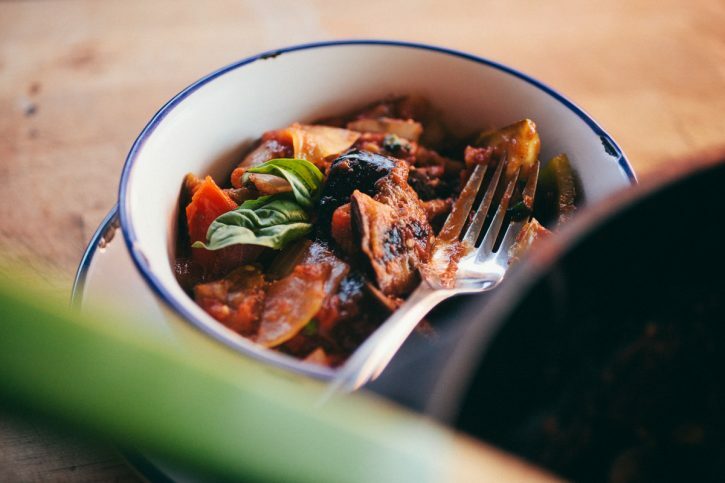 Place the eggplant, zucchini, red and green bell peppers and onion in a large bowl. Toss with a little vegetable oil to coat the vegetables. Season with Cattleman’s Grill Tuscan Steak Seasoning. Grill to achieve nice color on all sides. Remove from the grill. Place a Lodge Logic 7 quart dutch oven in the grill, directly over the flame, to preheat. Dice the vegetables into bite sized pieces. 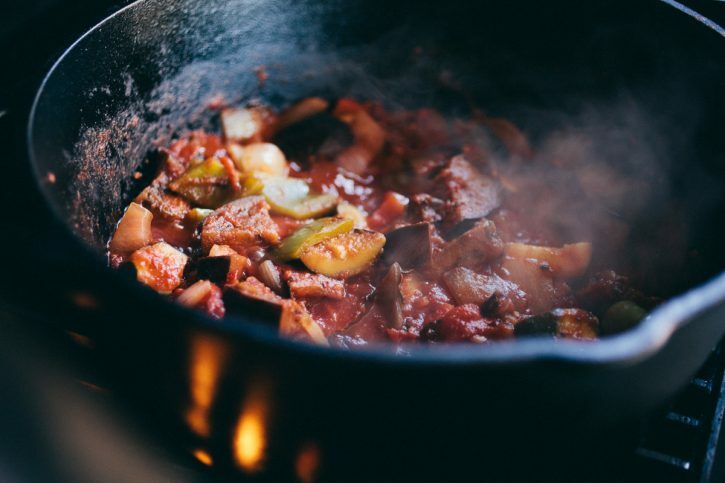 Place the diced grilled veggies, canned tomatoes and minced garlic in the preheated dutch oven. Cook for about 5 minutes until all vegetables are softened and the tomato juice is cooked down and thickened. Stir in the basil, lemon zest and balsamic and remove from the heat. Tips & Techniques: Does Searing Steak Lock In Juices?